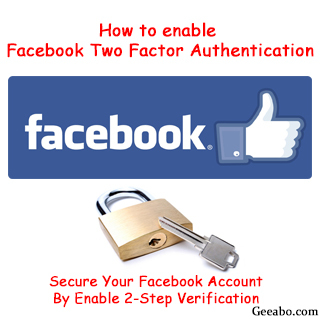 How to Enable Facebook Two Factor Authentication. Nowadays almost everybody creates Facebook account all over the world. As we all know that Facebook is the worlds biggest social networking site. Hey guys, I welcome you at Geeabo.com, In the Geeabo community you receive a new article every day. Where I tell you some important things about the world of Internet, smartphones, PCs and more. As we all know that many celebrities are also on Facebook and that’s why so many Facebook accounts are getting hack So, Facebook is very conscious to there Users security. 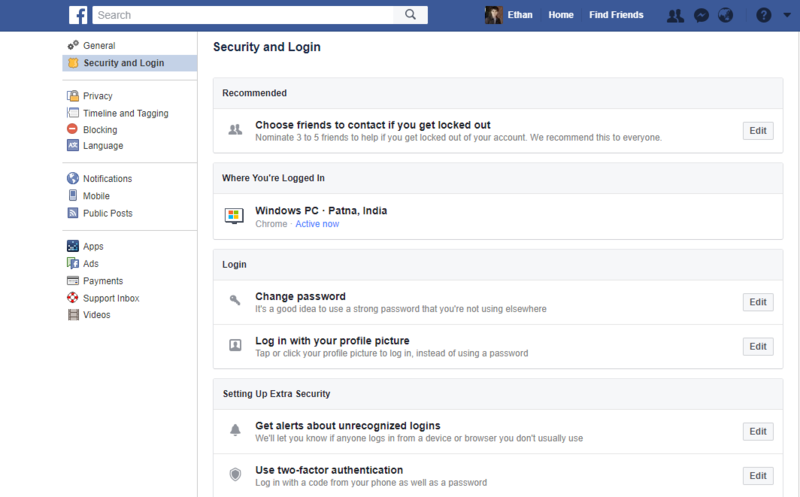 That’s why Facebook introduces a very strong Facebook Two Factor Authentication method to to secure Facebook account. Now so many people don’t know about the Facebook Two Factor Authentication but friends nowadays everybody needs the Facebook Two Factor Authentication feature. In a simple word Two Factor Authentication is just like Two Step Verification of Gmail. 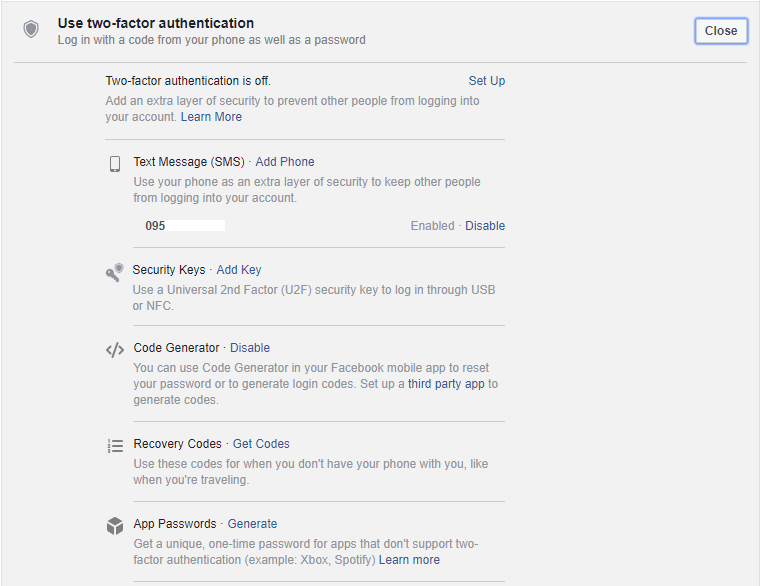 How to Enable Facebook Two Factor Authentication? 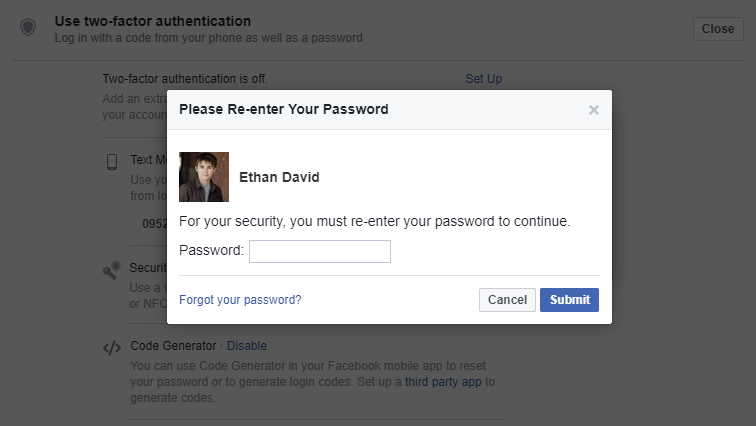 Simply follow the few instructions carefully to Enable Facebook Two Factor Authentication. Go to Facebook’s Website or Simply Click Here. Enter you registered 10 digit Phone Number with or without country code, here i am using my country code or E-mail ID and Password. You will come to the Home page of your Facebook account. Now click on drop down menu from the right side of the screen and here you can see so many options. Click on second last option “Settings”. Here you can see various option in the left side of the screen. Simply click on the “Security and Login” option under General. Here you can see “Use two-factor authentication” at the bottom of the page. Click on the Edit button of “Use two-factor authentication” option. Under “Use two-factor authentication” option you can see a lot of options but you need to click on the first option that is “Set Up”. After click on Set Up, a new popup window will appears just click on “Enable”. Now a new window will open and you will be asked to enter the password again. So, kindly Re-enter your Password and click on Submit. After Submitting the password you can see that a new popup window will appear says “Two Factor Authentication On”. Finally, We have Completed the Process. I hope you like this article about How to Enable Facebook Two Factor Authentication and you have learn something new with the help of this article. Please Do Like, Comment and Share if you really like this.